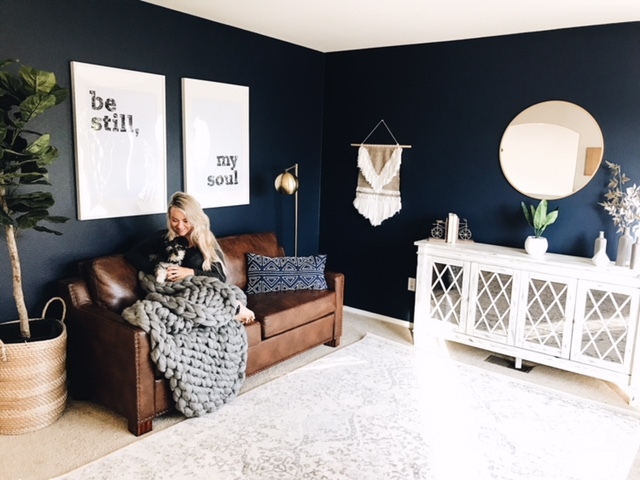 I have four rooms in our home that are my favorites to spend time in – all for unique reasons. We also have a few rooms that are works in progress; you know those rooms that you don’t necessarily love spending time in because you’re always thinking of something to fix? I have a couple of those! However, we wouldn’t even have rooms to work on if it weren’t for my husband’s awesome decision making at a young age. 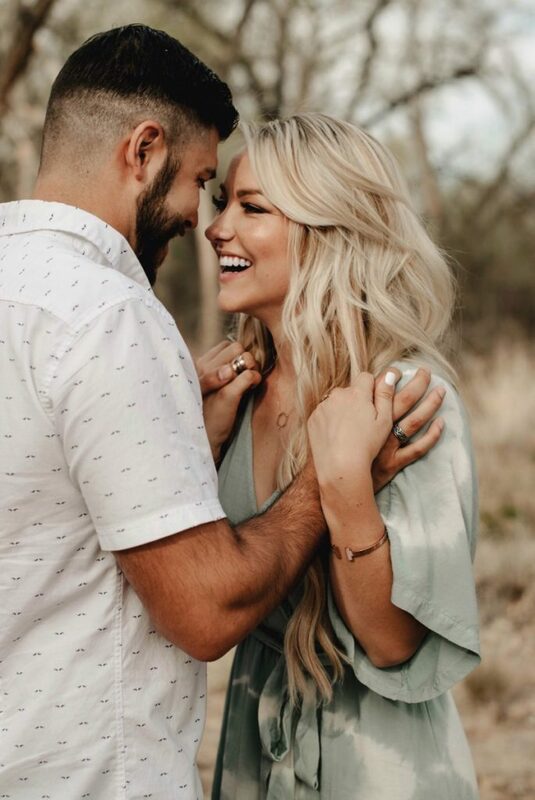 Jesse and I were married young, at age 21, and I immediately assumed that we would just rent a home or apartment together as soon as we got married. 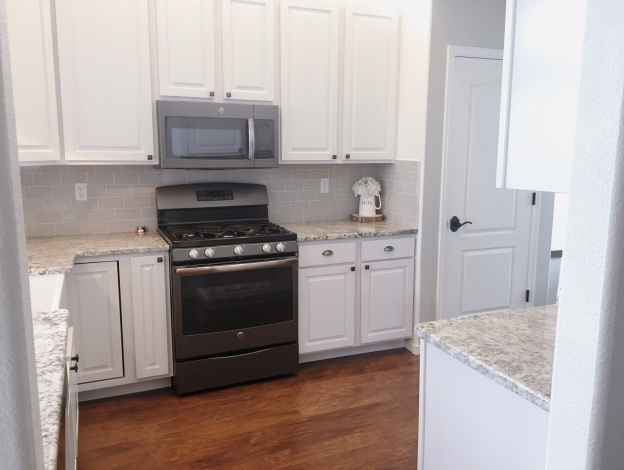 I had no intention of getting qualified to purchase our first house because we had both just left college and, although we both had full-time jobs, I had assumed that we definitely didn’t make enough money. However, Jesse knew a thing or two and he had other plans for us. He insisted that we invest our money into purchasing a home rather than ‘throwing it away’ on a rental or staying with our parents for a while. As I look back, I’m so grateful that he encouraged me to go the purchasing route. A quick story: When we first arrived at the house that he was wanting to buy, I didn’t even want to get out of the car! I am willing to admit now that I was being very spoiled 😉 but to my defense, it was on a less-than-desirable street, it had turquoise metal columns on the porch and 1970’s wood-paneling inside. Gosh, I wish I had ‘before’ pictures of that house! But after a lot of discussion (and a little coercion) I gave in and decided to go for it. We ended up with this 1,400 square foot fixer-upper blessing that we made completely our own. It turned out to be more than I could have imagined and we were super proud of ourselves for making it happen. My husband and I are now always encouraging our friends and family to purchase a home instead of renting because it was such a wonderful investment for us. Two years ago, we were able to make enough equity off of that first home to upgrade to our current home which we love so much! This holiday season, Bank of America is sharing the Bank of America Homebuyer Insights Report (HBIR) encouraging individuals and families to take a step out and purchase a home. We are behind that one hundred percent. Buying a home was honestly the best financial decision we have ever made. I am now 27 and Jesse is 28, and we’re in the process of purchasing our third investment property! Sweet friends, have you been thinking about purchasing a home for yourself or helping someone you love? Is it time to get into a new school district for your kids? Are you in need of a larger home or yard? Do you need to get closer to family or help your son or daughter purchase a home to branch out on their own? The HBIR findings show that 53% of current owners and 47% of first-time buyers associate homeownership with family and that 58% of millennials and 60% of Gen Xers would consider moving or reconfiguring their current house so that a family member could live with them. It also finds that 63% of homebuyers say their children have some input on what type of home to buy – do your kids have a say when it comes to your home? 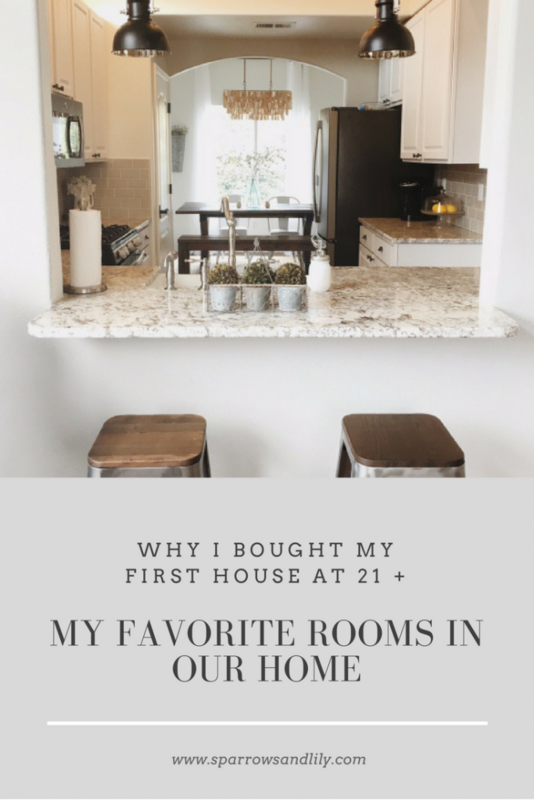 Now it’s time to share my favorite rooms in our home! 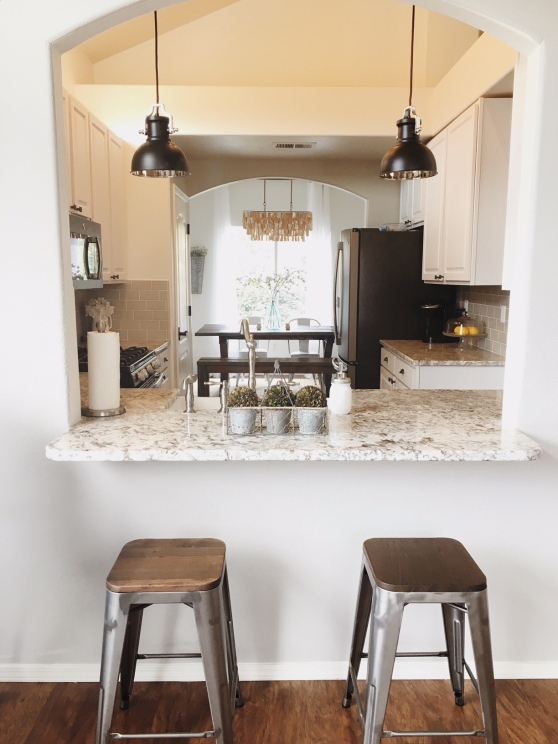 I love home design and I am continuously changing or moving around our decor. 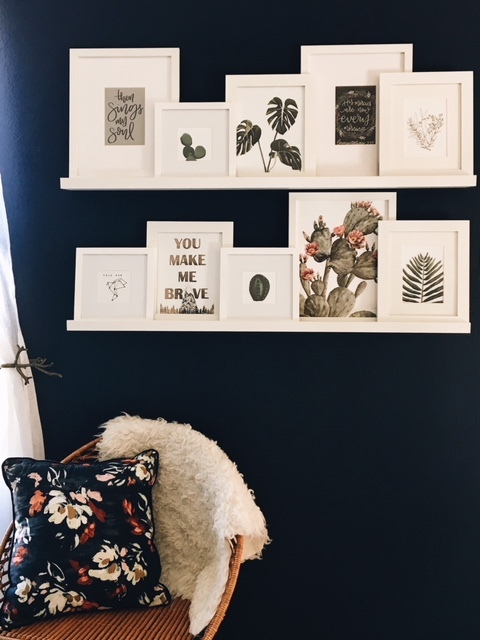 I love making each room unique for our family and pouring my heart and passion into a safe and comfortable space that my family enjoys coming home to. 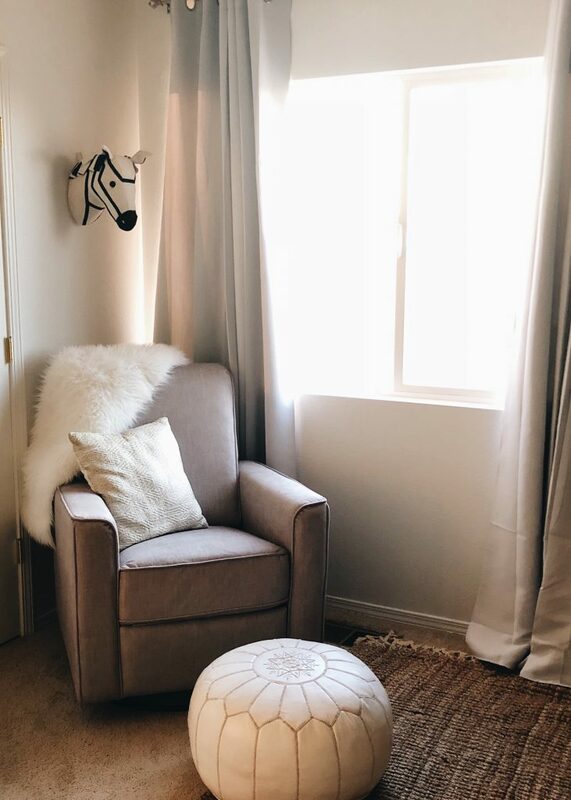 My husband and I are currently in the process of creating a cozy nursery for our baby due this December and it’s quickly becoming one of my favorite spaces. This room is still a huge work in progress, but it should be completed within the next two weeks and I can’t wait! I wanted to create a calming, mature nursery with neutral colors. Here’s a little sneak peek! 😉 I can’t believe our little guy will likely be here in less than two weeks – we are dying to see his sweet face and so excited that we get to have a Christmas baby! I have poured a lot of love into my loft to create the perfect “sanctuary space.” It is where I go to cuddle up in a blanket and read or just have some time to myself. 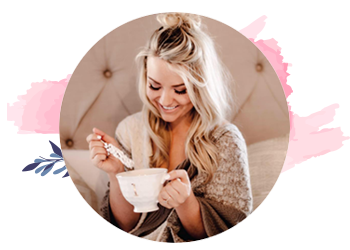 As I prepare for Christmas, this is where I spend my time wrapping gifts, drinking hot chocolate and writing our Christmas cards! As a momma, I believe that it is important to have a space specifically for ourselves if we have the option to do so. It gives us the opportunity to intentionally practice self-care in the midst of motherhood. My husband and I have always placed great importance on hosting people in our home – friends, family and strangers alike. The living room is a space where we can enjoy the company of the people in our lives while making them feel at home. 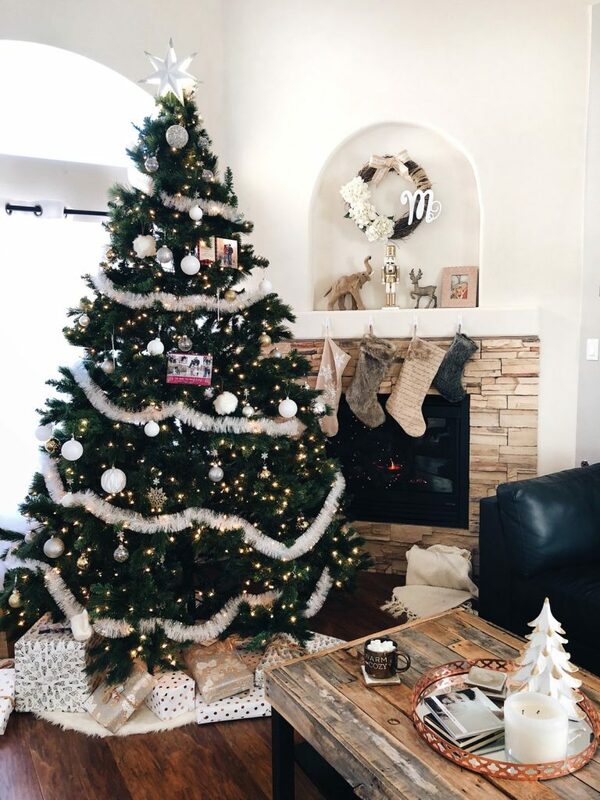 We are so excited to decorate for the holidays and get our gifts placed under the tree! We recently acquired an amazing Santa Train Set that my son and all of the kids love to play with! 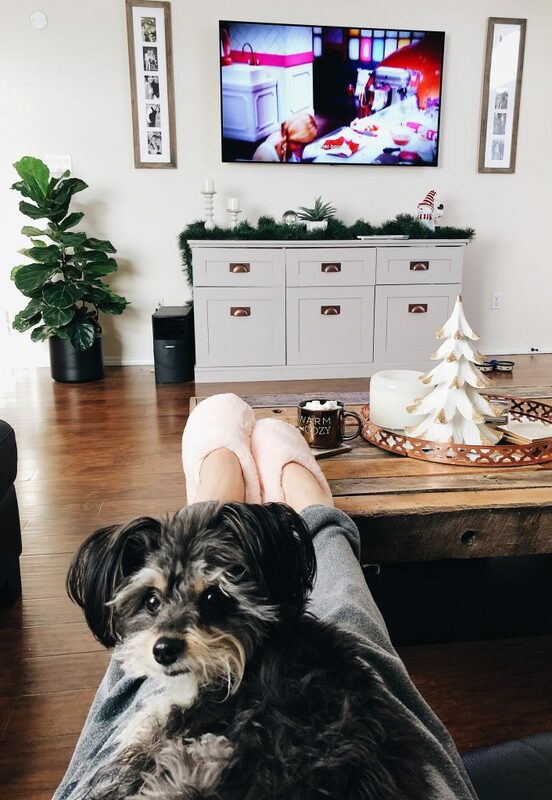 This year, as we prepare for baby #2, we will be staying in for Christmas. We plan to drink hot chocolate by the fireplace, watch ‘Home Alone’ and open gifts together as a family. I love spending time with my family in our kitchen. I love to bake with my son, just as I baked with my mom growing up. We have already made a ton of holiday dishes together to deliver to the people that we love, including Cranberry Jalapeño Dip, Pecan Cake and White Chocolate, Pistachio and Cranberry Cookies! It’s also very important for us to eat dinner together as a family. We try to be very intentional about sharing meals with one another – with electronics aside – to catch up on our days and connect face-to-face as a family. Owning a home has been an incredible blessing for our family. Although we know that it may not be possible for everyone, having information about the available tools and resources may simplify the home buying process for you! Read more about Bank of America’s home loans and ownership process here!